Optional - compliant to DICOM requirements. 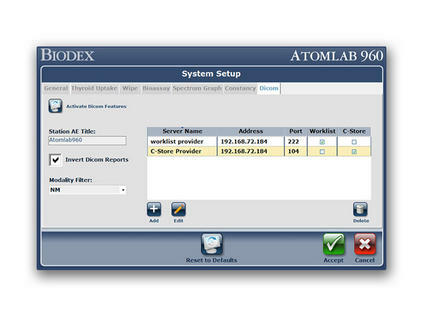 The optional DICOM Interface integrates the Atomlab 960 Thyroid Uptake System with your hospital management system, streamlining workflows and improving communication. Upon installation, the program is completely integrated with the uptake software for seamless operation. 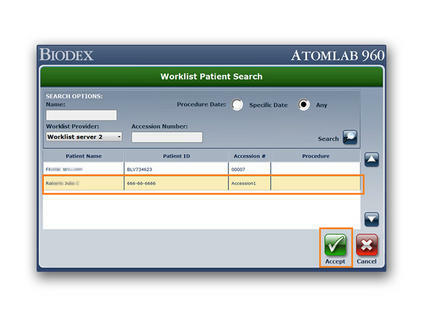 The program allows you to retrieve patient information from the worklist and upload patient results, without exiting out the clinical software, increasing staff productivity and efficiency. 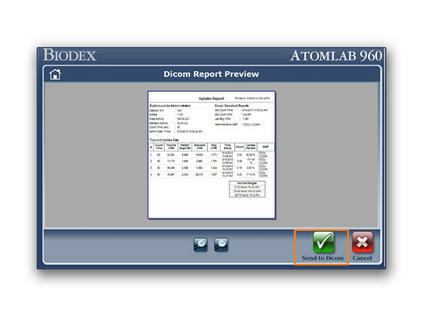 DICOM allows the uptake reports to be transferred, stored and queried/retrieved throughout a facility. 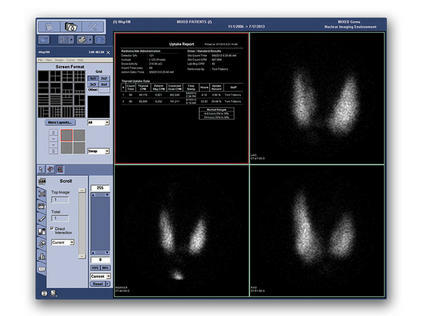 Physicians can view both thyroid scans and uptake reports simultaneously. Attention Government & Military Medical Facilities — The optional DICOM program is now a government approved modality to interface with VistA Imaging. DICOM integrates with VistA allowing the thyroid uptake reports to be transferred, stored and queried/retrieved in the VA’s electronic health record system as well as exchange medical imagery with the Department of Defense.